Who Wants to be a Baccala`? Easter Cod Stories. As Easter approaches, my mind turns to Cod! It is a family tradition to eat this odd fish every Good Friday, and over the years I have experimented with different types of cod fish. We have Cod lovers and Cod haters in the family: some of the Cod lovers are recent converts and now place their orders every Easter. Cod is widely available in the smoked form ( usually bright orange, chemically smoked Hake). It is also sold as Stoccafissa or Baccala`, the dried and salted fish seen hanging in Continental delicatessens. In Italian, essere un baccala` is to be a stupid person while restare come un baccala` is to stand agape, speechless, immobilized. (picture the hard motionless salted fish ). To call someone a Baccala` is a handy insult when they have behaved stupidly. Many eons ago, as a way of impressing my dear friend Olga D’Albero Giuliani, I made a Venetian dish for Good Friday, using Baccala`and green olives. It took me forty eight hours to soak the fish, with many changes of water. The resultant dish was still bony and well, fairly ordinary. Olga was not impressed and asked me why I didn’t simply use smoked cod, a tastier fish and easier to prepare. I felt like a real Baccala`!! Soon after, I discovered real smoked cod from the Shetland Islands. It arrives in Melbourne on the Wednesday before Easter and is sold by the same fishmonger at the Preston market every year. It is Scottish cod, smoked without the use of chemical dyes and tastes just like peat. ( akin to eating a fishy single malt Laphroaig whisky). This explains the new converts. It requires nothing more than gentle poaching, topping it with a simple bechamel parsley sauce, alongside mash or new potatoes, allowing the smoky peat taste to star! In the case of Cod, the Scottish /Irish version wins hands down. Unless you want to be a Baccala` too. 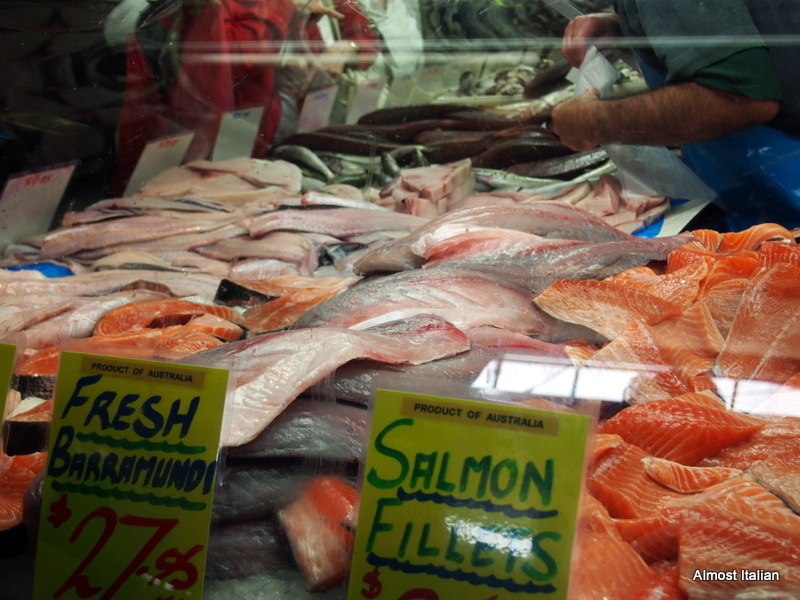 The fishy photos above were taken at the Preston Market, near Melbourne, Australia. 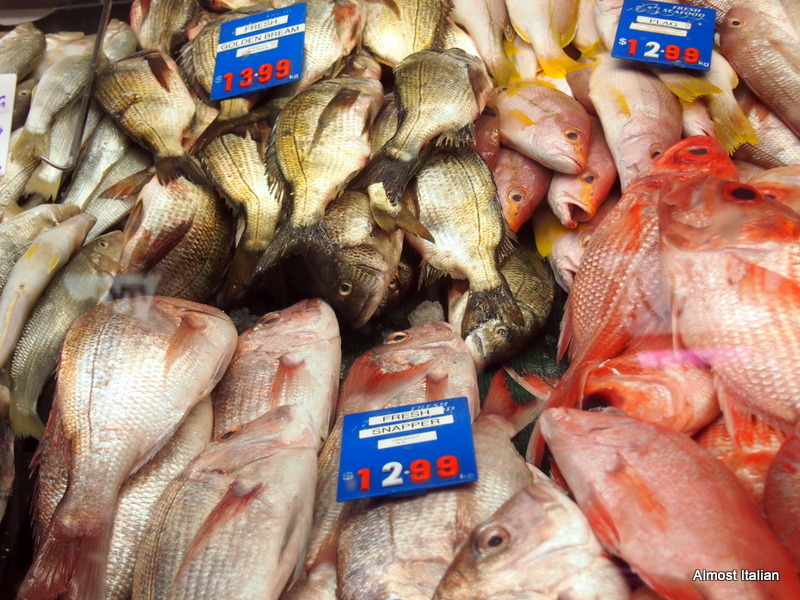 It is a lively multicultural market with at least five fishmongers. I’m with you there – the paler looking natural smoked fish is much better! I’ve also cooked with baccala since we had some amazing baccala dishes in Portugal that I wanted to recreate. The results were a mixed success – failure. Truly a tricky ingredient. One thing we get here which makes life easier is the quick soak kind that doesn’t resemble dried shoe leather and only takes about 12 hours to soak. Laphroaig – now you’re talking! I like cod in a good home made Brandade. I have seen the faster soaking version lately, but after my first attempt, I’m sticking with the Scottish product and donning a kilt for Easter. A fishy single malt whiskey, eh? Hmmmm. I’ve always wanted to try a properly smoked Scottish cod. I’ve been to Scotland three times and still somehow it has eluded me! It is worth seeking out next time your there. 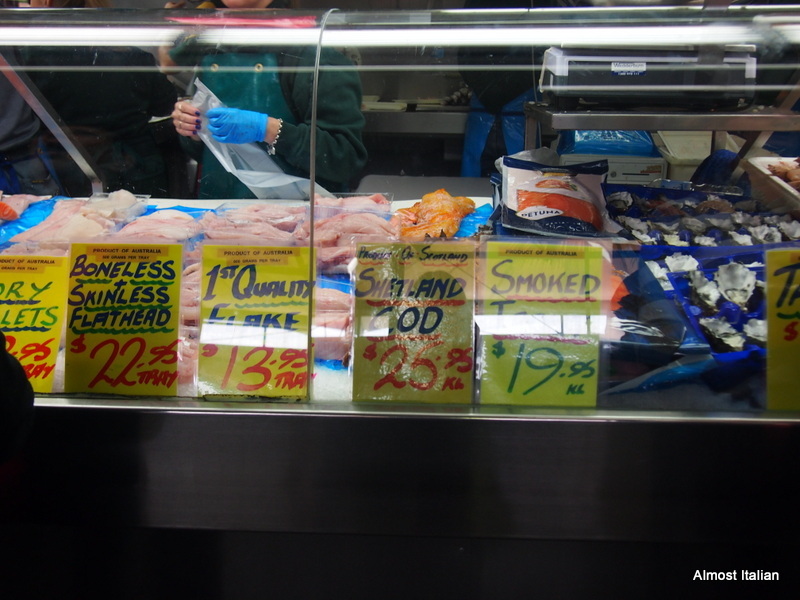 Ah good to know that I can purchase the good smoked cod at Prahran all year round. I was hoping for a hint like that as it only comes into Preston once a year at Easter. Yes, I am aware of that distinction, but generally it is all referred to as Baccala in many Italian dishes. I guess I am not very fond of it, except when someone nice turns it into a Brandade. Great post, I used to work for Sydney Fish Market Corporation another lifetime ago and these photos take me back. I only once did the ‘baccala soaking thing’ and didn’t overly love the results either. I have to find this Scottish cod! My dad plays bagpipes and is a Whisky aficionado, he would love it. Your father would love it for sure. I LOVE bagpipes! It is plain and very old fashioned- but if you acquire a really good Scottish smoked cod, it is a wonderful thing. I would love to try some smoked cod, however, my husband dislikes anything that has been smoked!? Something I have been fighting for the past 14 years! I would love a yummy piece of flathead. Do you know what the equivalent is here in Italy? Nothing beats flathead, it is so sweet and versatile: I bet you are missing it. As far as I know, there isn’t anything quite like it in Italy, but I am attaching a very thorough list here which provides quite an interesting summary. Chi é che non si é mai sentito come un baccalà almeno una volta nella vita??? Haha, sì, una volta o molte volte. E ‘un buonissimo insulto! Hehe I had no idea that to call someone a call was an insult. You learn something new every day!